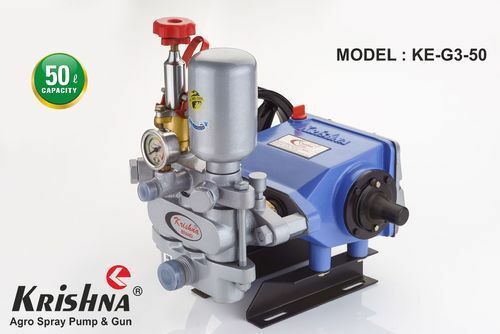 We Krishna Engineering established in 1994, we have become one of the most reputed organizations engaged in manufacturing and exporting of Spray Pump, Plunger Pump, Agriculture Spray Gun, washing Spray Gun etc. These pumps and systems are extensively used for meeting pumping various fluids and hazardous material in varied industrial purposes. Some of the exclusive features of our products are durability, high tensile strength, sturdy construction, corrosion resistance and consistent serviceability. Further, customers can avail our entire range in variegated shapes & sizes, depending upon their needs and application related requirements.